Your Apple iPhone as a sleep timer! Save battery life and prevent distraction by enabling the sleep timer to stop streaming music, video, radio, television, audiobooks, or podcast content. Access the iOS clock element in the Control Center by swiping up from above the Home Button on models prior to the iPhone X. 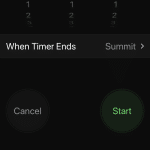 Select the Clock feature found next to the Flashlight, in the lower left-center of the application. · Tap to open the Clock, selecting the Timer. 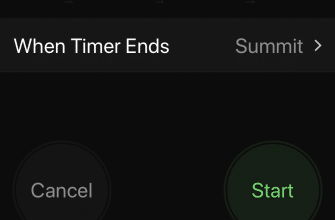 With the Sleep Timer enabled, your iPhone will stop playing any streaming music or other media playing after the specified period of time has elapsed. Saving battery life, minimizing distraction – good night! Lower iPhone flashlight beam to keep out of MY eyes! 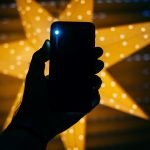 The iPhone (and other smart phones) have either a built-in flashlight or a flashlight app that turns your phone’s camera flash into a flashlight. 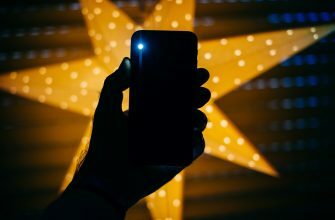 The device that is your telephone, computer, message center, entertainment and game center, GPS, and information portal – is also an easily accessible flashlight. The beam is very bright. The best usage is to keep your iPhone pointed down while activating the flashlight. Otherwise, in a crowded room, you may not be popular. To access the iPhone flashlight on models previous to the iPhone X, swipe up from above the Home Button, revealing the Control Center. The flashlight feature is located in the lower-left corner. To activate the flashlight, tap the icon. To turn off the flashlight feature, tap the icon. To access the iPhone flashlight on the iPhone X, swipe downward from the upper-right corner of the iPhone X, revealing the Control Center. 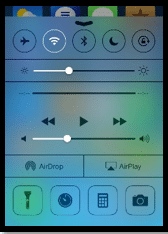 As in previous iPhone models, activate the flashlight, found on the lower-left corner of the Control Center with a single tap and to turn off the flashlight, tap the same flashlight icon…and is always a good idea to confirm the flashlight is off, not by holding the iPhone up where it could shine in someone’s eyes, but watch for illumination below the device. I love the iPhone flashlight and use it frequently: outside with the dogs, in the car, or simply to find a misplaced item. When you are using the iPhone flashlight in a restaurant, understand there are other diners close by; your light is bright and can be uncomfortable and distracting from the dining experience. Ensure the beam is pointed downward toward the table and away from customers’ eyes. Remember to turn off the flashlight to prevent disturbing other patrons and to minimize battery loss. Swipe to flashlight is a very useful iPhone tool! NOTE: Purchased Apps are synched automatically across iPad/iPhone/iPod Devices; not MAC or Windows computers. In Dallas, Contact the professionals at Coaching Computers for computer training and computer tutoring. We Work with Those Who Have a Hard Drive to Learn! The Outlook is Efficiently Positive! The Outlook Navigation Pane, used to “manage” and “store” emails in Folders. Additionally the Navigation Pane has a Favorites section; promoting quick access to your most frequently used Outlook storage folders. Navigation Pane Options lets you open other Outlook Components: Calendar, Contacts, Tasks, etc. in a New Window. Find Outlook Favorites in the Navigation Pane and move Outlook folders you use the most as email storage and organization to Outlook Favorites. After creating an Outlook folder, right-click the folder and select Show in Favorites. Accessing email storage in Favorites will serve as a quick and efficient method of organizing your Outlook Inbox. Additionally, it will reduce the time required to find most frequently accessed resources. My absolute Favorite Outlook navigation tool is found in the Navigation Options section of the Navigation Pane. Open each of Microsoft Outlook’s components (Mail, Calendar, Contacts) in a new window; this will significantly increase your productivity and efficiency. Other Microsoft Outlook “navigation” tools include quick access to dates within the current month or dates in the future (and dates in the past) using the Date Navigation Pane, which is part of the Outlook To Do Bar. From the View tab in Outlook 2010, select Normal to enable the To Do Bar. While in the Inbox portion of Microsoft Outlook, you can single left click to select a date or a series of dates, you can view the Outlook Calendar. Select a date on the Calendar portion of the Date Navigation. Or single left click either the Previous or Forward arrows shown above the Calendar portion seeking a date in the future or previous to the current date. A huge time-saver for your quick access to a date inside or outside the current month! An option to seeing the Date Navigation feature is to collapse it using the Expand/Collapse arrow shown above the month-Calendar section. Single left-click the Expand/Collapse arrow and hide the Date Navigation panel. Another one of my Favorite Microsoft Outlook, actually Microsoft Office shortcuts is right-clicking the application icon found on the Windows Taskbar. When you right-click the icon, you have actual, time-saving shortcuts to the Outlook components: New Email Message, New Appointment, New Meeting, New Contact, and New Task. You have “quick access” to each of these Outlook tools for immediate creation: email, appointment/meeting, contact, and task. Save time-use Microsoft Outlook and take advantage of using each Outlook component without having to close other Outlook components. Contact the professionals at Coaching Computers for computer training and tutoring. Microsoft’s new operating system, Windows 8 has a Start Screen rather than a Start Menu. You will find your favorite software programs, device apps, and computer settings on the Start Screen. When a software program or application is opened, the Windows 8 desktop looks identical to the traditional computer desktop from previous Microsoft operating systems. As you open software applications, right click each software application icon on the Windows Task Bar (traditional Windows Desktop view), and select Pin to Task Bar. This will provide easy access to each of your most frequently opened applications. To quickly navigate back to the Start Screen, simply strike the Windows Key, taking you back to the Windows 8 Start Screen. To return to the Windows Desktop, hold down the Windows Key and strike the “D” Key. The Windows Desktop and any open applications will be available for easy access. Windows 8 can be easily navigated using Keyboard Shortcuts. For quick access to the Power Off function, use the Windows Key + C which displays the Charms. Find Software, Apps, and Files using the Windows Key + F.
Access configuration options in Windows Control Panel with the Windows Key + X combination. Windows 8 Keyboard Shortcuts: Easy with Coaching Computers! Using Windows 8 Keyboard Shortcuts will make you more efficient and will enhance your computing experience. Contact the professionals at Coaching Computers when you upgrade to Windows 8.
a crooked photo.” See the App at Apple.com/iPad. Whether you are a professional or an individual working with social media (Facebook, Twitter, LinkedIn, Digg, Delicious, etc. 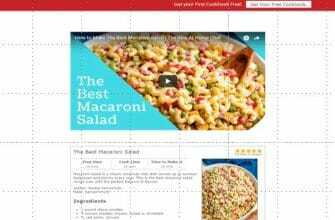 ), incorporate links to your profiles on each of these websites on your blog or other web networking sites. Let your fans/followers/clients and friends know where you are on the web by including social media public Uniform Resource Locator (URL) or links on websites. A must-see video, http://bit.ly/findsocialmediaurl. 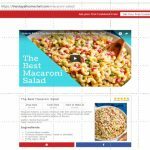 Learn how to discover and record your social media links to integrate into other social media.